Do you want to work every day with smart, kind, and creative people? Us too! If you are pursuing a career in the advertising and marketing industry with a company that cares about your quality of life more than milking you of your time, energy, and talent, then we have something for you! 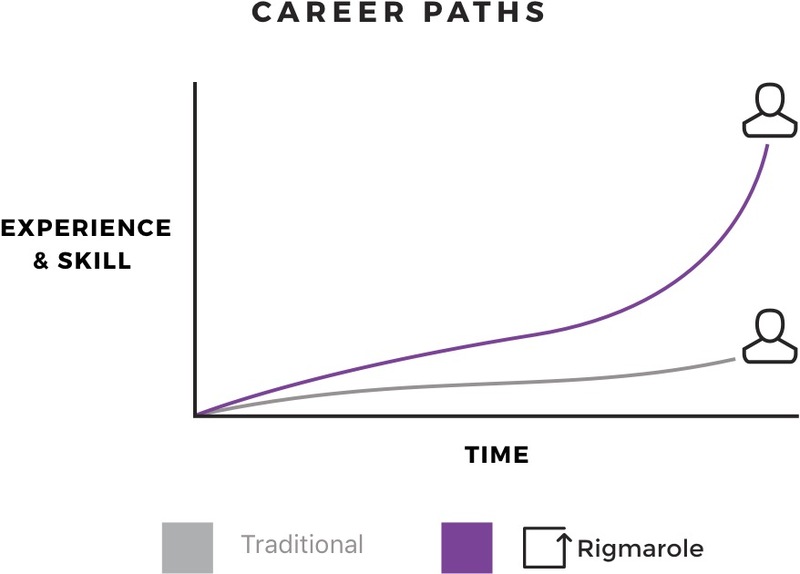 Rigmarole is a small but rapidly growing agency strategically located in Athens, Georgia. Athens is a place beaming with talent, has a low cost of living, and is internationally known for music, food, and football. Forbes and Money Magazines named Athens to be among the best cities in America to live and retire. Athens is genuinely the perfect city to build a digital agency. Here, the most creative and brightest professionals work together to overcome marketing challenges faced by today's businesses. All of these talented people are a part of the beautiful community in Athens. They are marketers, sales professionals, client success representatives, project managers, creators, business people, and leaders who come highly recommended from UGA and the professional community. We have a vision of building a world-class agency employing over 100 people in five years. Get on board now at the ground floor and enjoy the ride! We want people that are passionate and have a desire to learn. We will train you on the marketing technologies and tools that we use and give you the opportunity to grow with the company. During your interview, we will explain how you move up in the company as you gain training and experience.